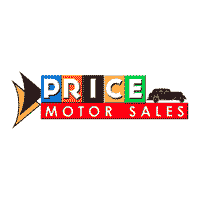 If you’re searching for used car dealerships near Huntingdon, then take advantage of the extensive inventory available at Price Motor Sales. We want you to drive home in a quality used car you can rely on, and we also offer a variety of rotating Mopar® parts and service coupons to make maintaining your vehicle at Price Motor Sales a breeze. Explore our used inventory online before visiting us for a test drive! 2013 AWD 3.6L V6 Flex Fuel 24V VVT AWD 5-Speed Automatic Odometer is 7454 miles below market average! 2018 2.4L I4 4WD 9-Speed Automatic Odometer is 2079 miles below market average! 2018 3.6L 6-Cylinder SMPI DOHC AWD 8-Speed Automatic Odometer is 1668 miles below market average! 2015 HEMI 5.7L V8 Multi Displacement VVT RWD 8-Speed Automatic Odometer is 2739 miles below market average! 2018 3.6L V6 24V VVT FWD 9-Speed Automatic Odometer is 3883 miles below market average! 2016 3.6L V6 24V VVT 4WD 8-Speed Automatic Odometer is 3366 miles below market average! 18" x 7.5" Aluminum Wheels, 1-Yr Trial (Registration Required), 360 Surround View Camera System, 5-Year SiriusXM Traffic Service, 5-Year SiriusXM Travel Link Service, Adaptive Cruise Control w/Stop & Go, Advanced Brake Assist, Advanced SafetyTec Group, Alloy Seats, Automatic High Beam Headlamp Control, Full Speed Forward Collision Warning Plus, GPS Navigation, HD Radio, KeySense, Lane Departure Warning Plus, Parallel & Perp Park Assist w/Stop, ParkSense Front/Rear Park Assist w/Stop, Radio: Uconnect 3C Nav w/8.4" Display, Rain Sensitive Windshield Wipers, SiriusXM Traffic, SiriusXM Travel Link, Tire & Wheel Group, Touring Suspension. 2017 3.6L V6 24V VVT FWD 9-Speed Automatic Odometer is 4899 miles below market average! ABS brakes, Electronic Stability Control, Heated door mirrors, Low tire pressure warning, Traction control. 2018 Quad Cab 4x4 HEMI 5.7L V8 Multi Displacement VVT 4WD 8-Speed Automatic Odometer is 3812 miles below market average! We thoroughly inspect each and every vehicle before putting it out on the lot, so you can rely on both your car and our customer service every step of the way. Once you’ve browsed our used cars for sale, our Finance Department will walk you through every step of the used car-buying process, and our expert technicians in the Service Department will help you maintain your used car. Feel free to contact us in the meantime with any questions about our inventory of used models–from Jeep SUVs for sale (including the used Cherokee) to RAM trucks for sale, and more.